Around the late 1800s, Italian immigrants began arriving in Western Pennsylvania to mine coal and slate. Some, such as Giuseppe Argiro, left the industry to start businesses of their own. 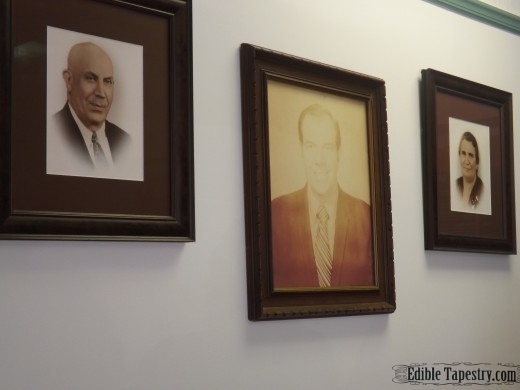 Though Argriro immigrated from Calabria, Italy to work mines, he left the industry and moved his family to Fairmont, WV and started a bakery. 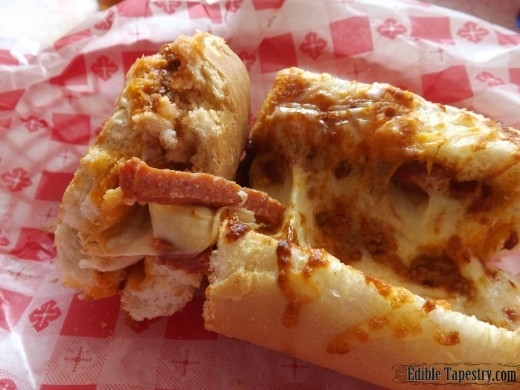 When he became aware that many relocated Italian miners ate a simple lunch of bread and pepperoni, he devised a way to make that traditional fare easier for the miners to eat by wrapping pieces of pepperoni in bread dough before baking it. 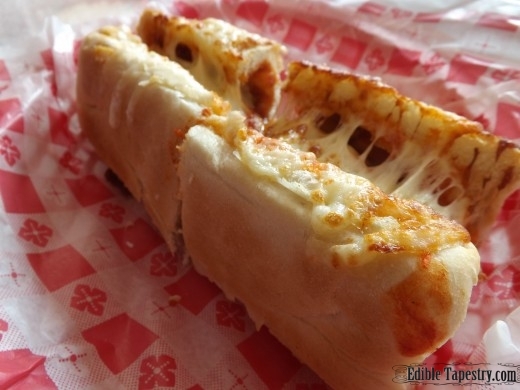 He had not only invented a way for the miners to eat their bread and meat with one hand, but had simultaneously created the first pepperoni roll, which would one day become the state food of West Virginia. Before my husband, children, and I “immigrated” to the coal mining capitol of the country ourselves, we knew there was a job in the area that my husband was perfect for. We knew the air was polluted and that the water was toxic, since mining processes in the region had been going on since before Giuseppe Ariro’s time. We knew right away that we would never buy property in coal country for those reasons, and for the fact that mineral rights for homeowners in coal/shale/slate/natural gas country were virtually nonexistent, which left surface land vulnerable to strip mining and gas extraction. But that was just about all we had time to learn in the two weeks before my husband was offered the job of his dreams, other than the story of the pepperoni roll. I didn’t get it. A piece of dough with pepperoni in it. What could possibly be the big deal? No sauce? No cheese?! Seriously? 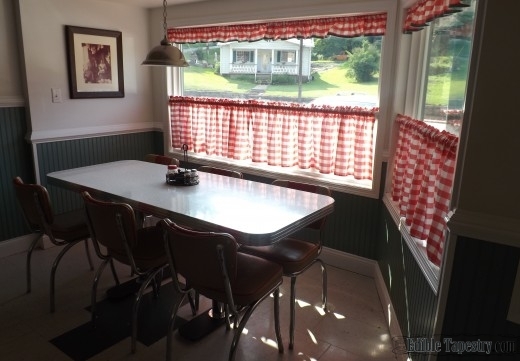 So I researched and found that though Giuseppe’s bakery was long gone there was a place in Fairmont, WV that was famous for its pepperoni rolls. Though I wasn’t a huge fan of pepperoni, I couldn’t wait to wrap my hands around my first pepperoni roll. Colasessano’s, started over 50 years ago by another Italian immigrant and his wife, was apparently the place to do that. 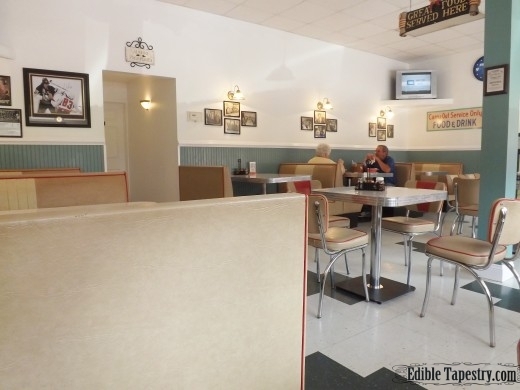 When I entered the original, Pennsylvania Avenue, location, which had just been remodeled in my favorite style, mid-century retro, I was happy to see that Giuseppe’s original (boring) creation had been improved upon. I ordered mine with meat sauce and provolone, which I expected to be baked right in. 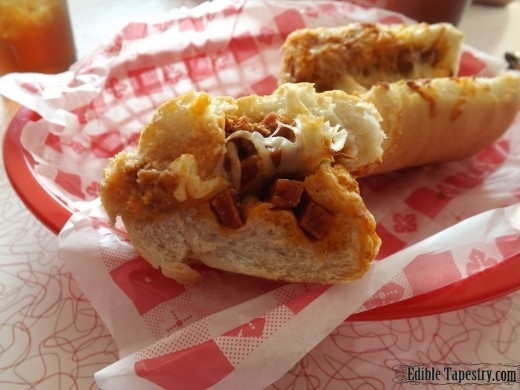 But what I was given was like a meatball sub sandwich with pepperoni in place of the the meatballs. BUT…the pepperoni was not cut and baked into dried out rounds like those on a pepperoni pizza, it was cut lengthwise in large sticks. YUM! And so I have become a HUGE fan of pepperoni, so long as it is cut into meaty, juicy sticks. Which has created a problem. I am not a hard working coal miner. My husband with heart disease is not a coal miner. My boys, the sons of the man with heart disease, are not coal miners. 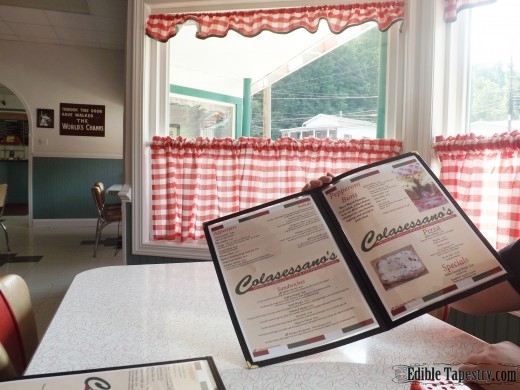 We really must avoid indulging in pepperoni sticks covered with meat sauce and cheese, wrapped in a wonderfully light and crispy white roll, though we will certainly be making the drive to Colasessano’s on another sunny afternoon for round two of those rich sandwiches. I have decided that, in the meantime, a better way for us to enjoy pepperoni rolls in moderation is to make them myself ~ betcha didn’t see that one coming ~ in miniature form, using whole wheat bread or pizza dough, store-bought organic pasta sauce, and mozzarella cheese rather than higher fat and salt provolone. The pepperoni is still high fat/high salt and full of other things we don’t need, but by cutting it in the sticks that we love, we really get to enjoy the guest of honor of the famous pepperoni roll. These little guys are great! And, like Giuseppe, I pack all of the ingredients inside the dough before baking so we can eat them like Italian hand pies for lunch on Saturday afternoons, or even on the road as we head back and forth between our new, borrowed, farm and our old, abandoned one further south. 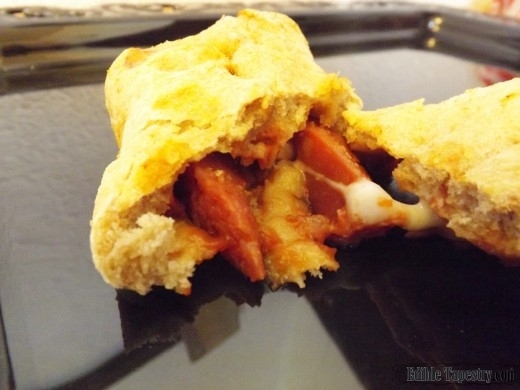 Pepperoni rolls require no refrigeration, and freeze very well. Giuseppe Argiro, what a genius! 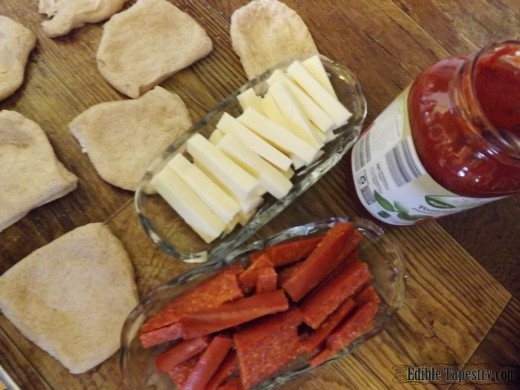 To make your own pepperoni rolls, just use the pizza dough and tomato sauce of your choice, mozzarella and pepperoni cut into sticks or slices. Roll out rounds of dough. Spread a little sauce on each. Top with a few pieces of cheese and meat. Tuck the short sides together, then seal the ends. Or leave them open like pigs in blankets. You can make them as big or small as you like. 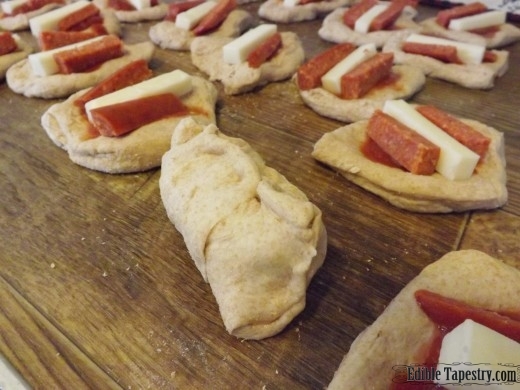 My mini pepperoni rolls, pictured, are perfect for tomorrow’s Super Bowl spread. Bake 15 to 20 minutes at 350F. 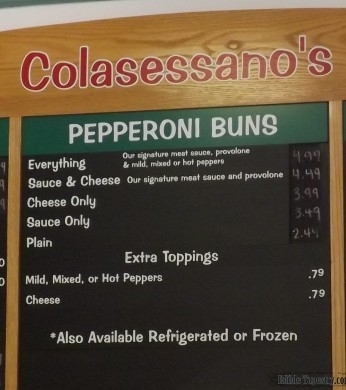 Note: Colasessano’s famous pepperoni rolls and pizzas can be purchased online and shipped anywhere in the United States!